This series is fairly old- dating back to 2000. It's a Third-Person Action Puzzle Platformer series, with the first game called American McGee's Alice and it's 2011 sequel called Alice:Madness Returns. 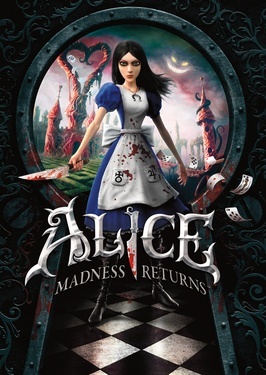 Alice: Madness Returns takes place shortly after the events of its predecessor. 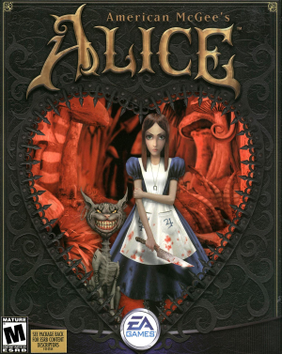 Alice was released from Rutledge Asylum at the end of the original game and now lives at an orphanage in Victorian London under the care of a psychiatrist named Doctor Angus Bumby, who uses hypnotism to help his child patients to forget their harsh memories. Still haunted by her family's death in the house fire ten years ago, Alice continues to have hallucinations. For those of you who don't know, Alice in Wonderland , though meant for children, has certain bits that can be interpreted as 'messed up'. I mean, for starters, Lewis Carrol apparently wrote it to get a pedo-opportunity with a 10 year old girl he knew. All the characters and locations from the books make the transition to video game with a fair bit of accuracy. In game the place called 'Wonderland' basically refers to Alice's subconscious mind. Her insanity makes the place insane. Graphics-6/10- Good detail in the character models and scenery, but some bits are repetitive. Gameplay-6/10- Certain sequences stand out, but mostly it's repetitive Hack-Slash-Jumping Puzzle-Repeat. It's worth playing, in my opinion, for the Story alone. The original game is too old to find in shops now, so it's being bundles along with Madness Returns, which is available in stores now.